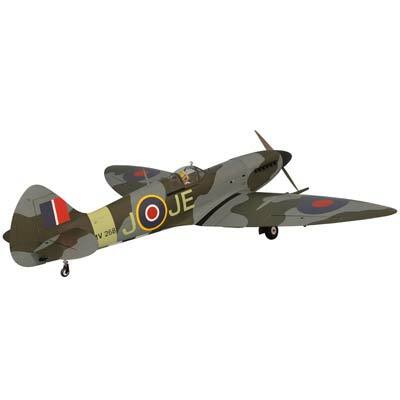 Hot off the heels of their A-26 Invader release, Phoenix Model has another sweet warbird coming down the Tower Hobbies pipe … The 95″ RAF Supermarine Spitfire! This ARF kit comes with all sorts of cool features such as panel flaps, pneumatic retracts with suspension struts and the ability to accommodate either gas or electric power plants. The scale detail on this Spitty was not overlooked either, as the sliding canopy can be pulled back to reveal a fully decked out instrument panel and pilot figure as well as operational cockpit doors. This is everything you get with the ARF Kit. 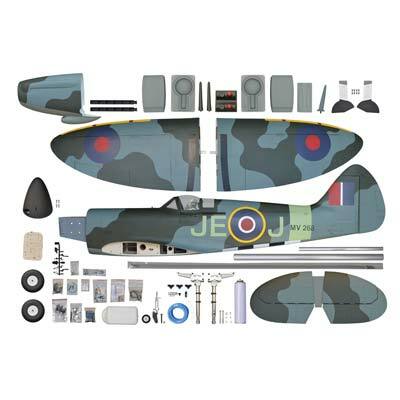 Simply add your own electronics and power system and you’re ready to fly the Spitfire for yourself. Check it out for yourself or pre-order one at the link below.